Anti allergic tablets are used to cure allergic symptoms such as cold, flu or any irritations on body, sometimes skin allergy due to side effects of medicines consumed.However,itching is common among all. Asthma is also the major allergy that usually encounter due to seasonal changes. Here, Fantabulous is major supplier of montef-l that are widely used to prevent asthma allergy and montef-l-kid which is used to cure the Ear-round allergies,dust or pet allergies,reddish itchy weals and Swelling in the skin.These tablets are strongly recommended by doctors in the initial phase to prevent its growth and to cure the allergy as fast as possible in easy manner. Moreover,These type of drugs are effective against prolonged allergies. Fantabulous is offering pharma franchise for allergic tablets,syrups, injections and PCD pharma for anti allergic tablets,syrups and injections across India. 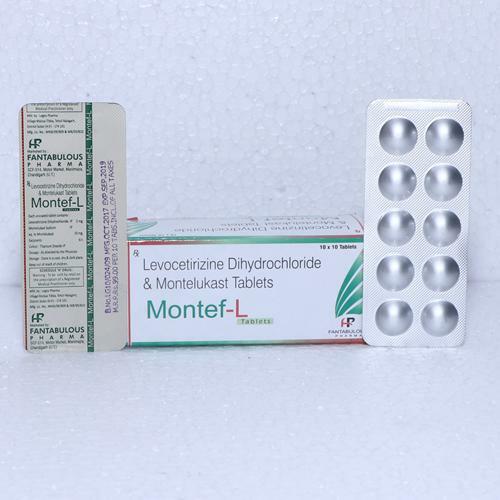 Contact us for pharma franchise and PCD pharma for the anti allergic tablets all over India.